Detox and Cleanse for the New Year and a New You! How does the body detox? Your body has its own amazing internal ability to cleanse and detoxify. The primary organs involved in these critical processes are the liver, colon, lungs, skin and kidneys. They work to filter wastes, protect the body from harmful invaders and eliminate toxins. Over time, dealing with poor dietary habits, environmental pollutants, stress, medications and lack of exercise can overwhelm the body’s ability to detox and eliminate impurities impacting the digestive system, joint health, immune function, hormone balance, skin health and more. Assimilation, Elimination, Circulation and Relaxation are integral to overall health. Assimilation refers to the body’s ability to absorb and utilize nutrients. These nutrients are used by every cell in the body to nourish and repair themselves. The body’s Elimination system uses a number of different channels to rid the body of wastes. The liver, lungs, lymphatic system, blood/ circulatory system, colon, kidney and skin are vital filtering and cleansing systems. The body’s Circulatory system is the key to sustaining life for the entire body. It works to carry the rebuilding forces to the body, as well as aiding in eliminations. Relaxation is fundamental to the health of the body’s nervous system. You may be familiar with the phrases: “thoughts are things” and “mind is the builder”. Harnessing the mind-body connection is a powerful tool for health. 1. Drink 6 to 8 glasses of water daily. The body is composed of almost 70% water. It is needed by every cell in our body to function properly. It lubricates joints, aids the body’s eliminations, supports healthy kidney functions, improves skin complexion, boosts the immune system, and improves energy levels. Slow, deliberate, deep breathing has wonderful benefits. It calms and relaxes both the body and mind, helping the lungs to release carbon dioxide as well as ease pain, enhance lymphatic flow and improve digestion. There are many styles of stretching, including static, yoga and pilates. Stretching exercises can help improve circulation, improve posture putting lease stress on our internal organs, ease muscle tension resulting in greater flexibility, support healthy nerve function for better relaxation and improve lymphatic drainage for stronger immune function. Try Peter Van Damn’s “Exercise for All” DVD for 15 minutes daily. This simple practice exercises the heart, improves circulation and increases oxygen intake. It’s also a great stress reducer. The external use of this ancient oil is enhanced through the application of a pack. 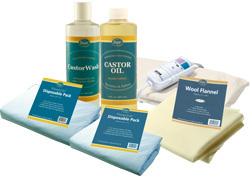 Castor Oil applied to wool or cotton flannel and placed over the abdomen helps focus the benefits of this therapeutic oil over the organs of assimilation and elimination, stimulating the gallbladder, spleen, immune and lymphatic systems as well as digestive organs. Adding mild heat from a heating pad helps to further concentrate the oil’s absorption. * As with any program, before you start check with your physician if you are on medications or have an existing health condition. Don’t just make a resolution, create a lifestyle change. Incorporate the habits that support your physical, mental and spiritual health and experience a stronger, more joyful and healthier you. This entry was posted in Castor Oil Products, Digestive Health, Natural Products on January 7, 2016 by Dr. Bruce Baar. Keep your skin care basic, simple and easy-to-use with these 5 roll-on lotions. Our favorite oils for skin health and muscle and joint massage are perfect for home, work or travel, easy to carry and even better, they can be applied with less mess in their convenient roll-on applicators. Baar Products Castor Oil in a roll-on is a great way to apply this versatile oil. Use for topical relief of minor muscle and joint aches and pain, minor skin irritations and sunburn, chapped lips, insect bites and as a facial or skin moisturizer. This amazing oil not only keeps skin hydrated, soothed and protected, but helps restore skin health and vitality. Our roll-on Castor Oil is now available in the Organic Palma Christos® line. Just roll it on and rub it in. Use it as part of your beauty routine or for general skin care and massage. Palma Christos is the premier Organic Castor Oil. It penetrates deeply to heal, moisturize and nourish. Add Peanut Oil to your daily skincare routine to add moisture and nutrients to dry, cracked and chapped skin. Rich in oleic fatty acids, antioxidants and vitamin E, Peanut Oil promotes skin health, improves elasticity and adds a radiant glow. Applied overnight, this oil will keep your lips hydrated, for softer, smoother skin. Energize your body and help alleviate aching joints and tight, sore muscles by massaging Peanut Oil to lubricate skin and enhance circulation. It can be considered a “food” for the muscular and nerve forces and adds vitality and strength to the body. This nutrient-rich blend of oils is formulated to improve the appearance of body scars and to help return the naturally soft look and feel to your skin. Customers have shared with us that it works great for stretch marks, too! Apply 2-3x daily to diminish the scars that range in appearance from thickened, red, raised tissue to pale, sunken or tightened tissue that often occur due to trauma, injury or surgery. To loosen stiffness and relieve aching in muscles, ligaments and tendons, massage Arthro® into affected areas daily. Formulated with a blend of simple yet stimulating oils; Olive Oil, Peanut Oil, Mineral Oil, Lanolin, Oil of Pine Needles, and Sassafras, Arthro is a must have for those suffering from minor aches and pains. The roll-on applicator is perfect for stimulating circulation to smaller, localized areas of the body. Roll-On applicators help you apply your oils exactly where you need them, using as much or as little as desired. No more dripping or spilling. Order some extras to keep at home, in your car, or even your purse! They make great gifts, too! This entry was posted in Bone, Joint, and Muscle Health, Castor Oil Products, Natural Products, Organic Products, Skin Health on November 9, 2015 by Dr. Bruce Baar. What makes Baar Palma Christi Soaps Unique? Our Palma Christi soaps blend nature’s super moisturizing ingredients to produce a rich, creamy texture and lather that cleans, moisturizes and restores your skin’s natural glow. Castor oil, Olive oil, Lanolin, Cocoa Butter and Sweet Almond oil replenish skin softness and elasticity for a revitalized complexion. Their unique therapeutic properties boost the skin’s defenses, helping it to recover from environmental and health stresses. Keep your skin feeling silky and supple, no matter how often you wash! Palma Christi soaps offer a refreshing clean for even the driest skin. Soap made with Castor oil is very moisturizing and has a dense, viscous lather. Applied to the skin, Castor oil acts as a natural emollient. This allows the nourishing and healing properties of Castor oil to penetrate the surface layer of the skin and maintain the moisture balance, leaving it feeling soft, supple and satiny smooth. Palma Christi Liquid and Bar Soaps envelop your skin with velvety moisture. Made with natural ingredients, these soaps are perfect for daily use and sensitive skin. Palma Christi soaps rinse clean and never leave a soapy residue. Experience the miraculous healing powers of Castor oil blended with a rich blend of hydrating ingredients and gentle cleansers for a moisturizing clean with every wash. This entry was posted in Castor Oil Products, Natural Products, Skin Health on September 9, 2014 by Dr. Bruce Baar. Restore your skin’s youthful appearance with Palma Christi Skin Lotion. Formulated with organic, cold-pressed, cold-processed Castor Oil, this luxurious lotion nourishes, hydrates and restores skin to a healthy, youthful glow. Why is it called “Palma Christi” Skin Lotion? Organic Castor Oil is one of the main ingredients in Palma Christi Skin Lotion. 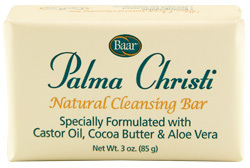 Many cultures referred to Castor Oil as the Palm of Christ, or Palma Christi, due to its miraculous healing properties. Castor Oil has the ability to penetrate deeply while softening and repairing dry, aging skin. Palma Christi Skin Lotion moisturizes without clogging pores and also improves skin elasticity. What other Beneficial Ingredients are in it? Aloe Vera – Aloe Vera moisturizes and soothes normal to problematic skin. This ingredient has been known to restore skin that has been affected by extreme dryness or irritation, even some minor skin infections. Cocoa Butter – Cocoa Butter is an all natural moisturizer that is safe for use on even the most sensitive skin types. High in antioxidants, Cocoa Butter helps fight off free radicals which cause stress to the skin. Lanolin Oil – Lanolin is an excellent moisturizer and emollient. It soothes and softens the skin to reveal your skin’s natural beauty. Lanolin helps to trap water inside the skin to keep it moisturized all day long. Vitamin E Oil – Vitamin E Oil is a natural antioxidant which helps skin keep its youthful appearance. Its anti-inflammatory properties help calm and hydrate sensitive skin. Sweet Almond Oil – Almond Oil is an all-natural oil that’s perfect for nourishing and reviving any skin type. Almond Oil is easily absorbed and won’t clog pores, promoting clear, soft, healthy skin. Palma Christi Skin Lotion combines all of these skin nourishing ingredients into one bottle so you will get the most out of your daily moisturizer. Whether you use it as an all-body lotion, or just a face moisturizer, your skin will thank you. What are others saying about this lotion? This entry was posted in Castor Oil Products, Natural Products, Skin Health on April 1, 2014 by Dr. Bruce Baar. You would probably not be surprised to know a significant number of people are actively engaged in researching and applying various forms of complementary medicine. They are using therapies that can be integrated with mainstream medicine to enhance the body’s healing response. When it comes to selecting a versatile, all-natural, at-home remedy, Palma Christos™, Organic Castor Oil is a must. Its topical application as a castor oil pack, massage lotion and ingredient for skin care is unsurpassed. People often use complementary medicine to preventatively stay healthy or address long-term health issues. The ability to use at-home therapies to balance and correct physical concerns can be transformative to one’s health. One of nature’s most valuable tools for supporting wellness is organic castor oil. Start creating your home-remedy medicine chest and begin by adding Palma Christos, Organic Castor Oil. The therapeutic properties of this oil make it applicable for many uses. Here are just a few of the reasons you’ll want to begin to experience its benefits. 1. Castor oil packs can be a powerful therapy for immune challenges. Applied over the abdomen, covering the many organs involved with assimilation, elimination and immune function, the castor oil pack enhances the body’s ability to remove toxins, improve digestion, relieve inflammation and stimulate lymphatic circulation. They are both soothing and healing. 2. It’s the perfect ingredient for skin care. Because it is a natural emollient, organic castor oil softens and hydrates skin for a younger, more radiant looking complexion. It’s a premier ingredient in our soaps and lotions which are great for healing dry, cracked skin. 3. Because of castor oil’s anti-inflammatory properties, it is perfect for massaging into sore, stiff muscles and joints. 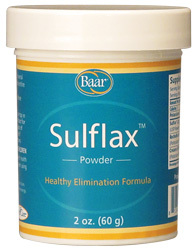 It penetrates deeply to ease pain and improve joint mobility. You make decisions every day that impact your health. For many, adding a few healthy changes can lead to a big difference. Using safe, effective home remedies like organic castor oil can provide another dimension to your self-help options. Read our customer testimonials to find out how others are working with this powerful oil. This entry was posted in Castor Oil Products, Organic Products on November 13, 2013 by Dr. Bruce Baar.